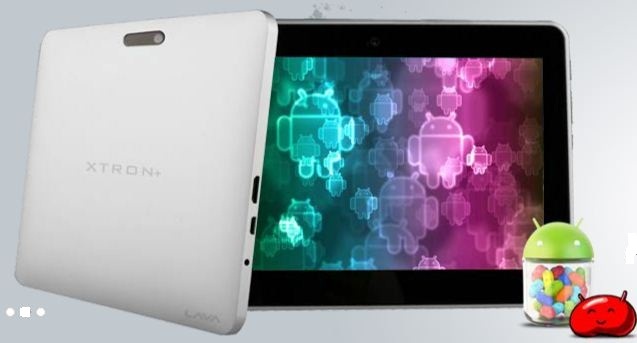 We had a good E-Tab Xtron from LAVA and now, we have a better Xtron+ . LAVA has very secretively upgraded its existing cash cow model, the Xtron to Xtron+, for even better results. It is a well thought move by the makers, given the fact, the competition is getting stifle day by day in the Tab market. One of the first things which the buyers in the budget segment seek for, when they are out there for a Tablet PC is, if the Tab runs on Android’s JELLY BEAN. LAVA seems to have taken a note from this visible trend very early and ipso facto, after Xtron with Jelly Bean 4.1, we have Lava E-Tab Xtron+, which runs on the latest Jelly Bean, v4.2. With this LAVA is also expected to stop the production of E-Tab Xtron for once and all and tout Xtron+ as its meaningful replacement. It is obvious that this Xtron+ is a face-lift given to the predecessor Xtron, The betterment is there in the OS, where we have Android 4.2 instead of Android 4.1, and in the battery rating as well, which is 3700 mAh instead of 3500 mAh. Let’s also have a look on the others features( which are exactly the same as of the existing E-Tab Xtron), LAVA has bundled up with the Xtron+ Tabs. E-Tab Xtron+ is a 7 inch genuine touchscreen with 1024×600 pixels resolution. With 1.5Ghz dual core Cortex A9 processor and 1GB DDR3 RAM, the device works seamlessly with most of the Apps.